So I got my first endorsement. Sort of. tl;dr version: 10% off code for supa-fine Moment lenses for iPhone an Android. Yesterday I got an email from the Moment Lens Co inviting me to join the Moment Ambassador Program. It was a bit of a thrill. Not because the company that produces the best iPhone lenses thought I had influence in the iPhone photography world, but because I was asked to endorse and promote a product I already use pretty much every day attached to the back of my iPhone. I bought my first Moment lens five years ago when they were first released and own all 4 lenses in the original set and (so far) 3 of the 5 lenses in the v2 set (as well as other Moment gear.) Since then I’ve recommended Moment Lenses in this blog and in my book The Crap-Free Guide to iPhone Photography Many of the images on my Instagram and those I have for sale on Twenty20 were shot with Moment lenses, so I feel I qualify as an avid user. I have a personal policy on endorsement that’s a bit of a reverse on Michael Jordan’s: I’ll only endorse what I use, not use what I endorse. (Or maybe Michael doesn’t even wear Air Jordans.) My method seems an honest way to avoid shilldom. Since I pay full price for all lenses myself, I’ve stopped recommending most other brands for two reasons. First: It’s too costly to keep investing in the stuff that’s proven to be lesser versions of similar lenses. Second (and more importantly): I’d rather steer you to what I’ve found to be the best stuff, since a good lens kit is a big investment and your dollars are as precious as mine. So what do I get out of this Moment Ambassador deal? I get is a 10% commission. The really nice feature that differs from most other arrangements is that my friends get 10% off Moment products. Moment seldom has sales and most third-party sites jack up the prices on Moment products. So this is definitely win-win. 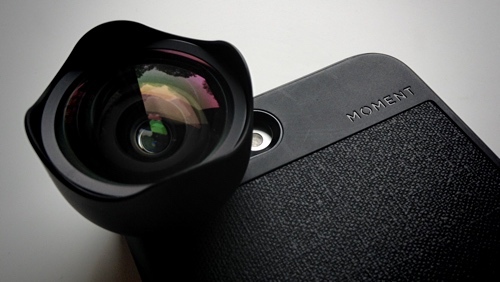 If you’re not familiar with Moment, they’re a little company in Seattle that’s produced the top-ranked mobile lens attachments from cinema glass since launch five years ago. They have a tele, wide, fish, macro and anamorphic video les. Their stuff is for serious iPhoneographers (did I just commit an oyymoron?) but it seems that most of us since we’re all leaving the big camera behind and depending more on the phone in our pocket to capture the spectacle of life. If you find yourself like me (shooting more and more on your iPhone) and wanting to get a little closer, a little further away, or a different perspective than your dual lenses let allow, Moment is worth investigating. Get a 10% off code compliments of me and Moment.